Maloney, who is simultaneously running for reelection in the 18th district and for attorney general in New York, has been credited with starting the "Tampon Lobby" on Capitol Hill and has recently taken up the banner for "menstrual equity." 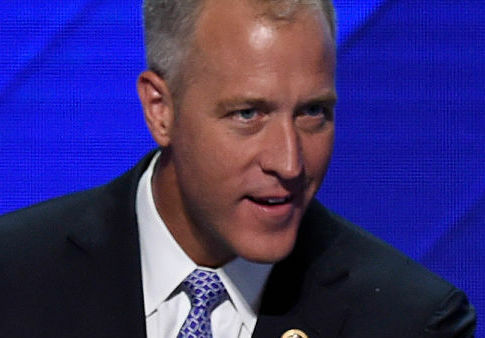 Google turns up 69,600 results for "Sean Maloney" and "tampons." Maloney's tampon crusade began last month, when he accused House Republicans of an "archaic" and "sexist policy" of not forcing taxpayers to pay for the tampons of Hill staffers. "My office recently got smacked down by the powers that be in the House because we had the temerity to offer feminine hygiene products for the women who work for me," he said in a video for Now This News. "By the way, a majority of my staff is female and we have a million people come through our office, and we provide things like paper towels, or tissues, or first aid, like Band-Aids, supplies that people need. And those are paid for by an office budget. Pretty normal stuff." Maloney said it is "crazy" that taxpayers do not already pay for his staffers' tampons, which he considers an "office supply." "But we were informed a couple days ago that we couldn't buy tampons, and we thought that was crazy," he said. "But I was supposed to write a $37.16 check to reimburse the House for those purchases because they were considered inappropriate." Maloney took issue with an email from the House Finance Office, which informed him that he needed to pay for the tampons himself, since tampons are "not an office supply, but a personal care item." "I think the key sentence here is, ‘Tampons are not an office supply, but a personal care item,'" Maloney said. Maloney has suggested women working in the House cannot have "respect and dignity" unless taxpayers pay for their tampons. "By the way, all sorts of members spend their office budgets on all kinds of crazy things, and you may have heard some of the scandals around that," Maloney said. "But the one thing you cannot do, apparently, in the House of Representatives is treat women with the same respect and dignity as you treat other employees or other visitors." He then wrote a letter to the House Administration Committee, saying, "it's simply outrageous" that taxpayers do not already pay for House staff tampons. The Washington Post called Maloney's issue the week's "strangest controversy" on Capitol Hill. After publicizing his tampon fight, Maloney said boxes of tampons came flooding into his office. "I want to make sure every office on the Hill is welcoming to female staff and visitors—and thanks to the generosity of the American people—they will be," Maloney said in a press release earlier this month announcing his office now has 500 boxes of tampons. Maloney said taxpayer-subsidized tampons are " about women's rights in the workplace" and a way to bring America "into the 21st century." TMZ released a video of Maloney with his office tampons on Wednesday, as he credited the celebrity gossip website with getting the message out that taxpayers must pay for Hill staffers' tampons. Maloney told TMZ that the House not reimbursing staff members' tampon costs sounded "like something out of the 1950s." Maloney complained that he did not get his $37 back, and said "menstrual equity" is a "real issue." "People wrote notes, they gave us stories about what they've experienced in their own lives, and now we went from having none of these products available to folks, to the point where we're now providing them to offices all over Capitol Hill because of the generosity of people who are watching who understood that menstrual equity is a real issue for folks in many areas of the country, in many walks of life and we should take seriously women's issues the same way we take men's," he told TMZ. Democrats have been increasingly wading into personal hygiene matters, as liberals sent female Senate Democrats "pee-proof" underwear to stop Supreme Court justice nominee Brett Kavanaugh. The liberal feminist website Refinery 29 has written about the "plight in the name of menstrual equity," and activists who demand "our laws must guarantee menstrual hygiene protocols and products that are safe and available for all who need them." The New York Times declared this week, "Periods are Political." "The average woman has her period for 2,535 days of her life," the Times piece begins. "That's nearly seven years' time of making sure you have a pad or tampon, finding a makeshift solution if you don't, and managing pain and discomfort." The Times made sure to note that not just women menstruate, and mentioned Maloney's crusade as an example of "menstrual equity" as a new political pet issue. "And lately, women—and transgender and nonbinary people who menstruate—are talking about it in public more than ever before," the Times reported. "Globally, advocates are pushing for recognition of a woman's right to manage her period with dignity. And in the United States, activists are bringing the concept of ‘menstrual equity' into the public debate." "‘Menstrual equity' refers to equal access to hygiene products, but also to education about reproductive health," the Times explained. "And it's the focus of a variety of new laws and policies to provide menstrual products in prisons, shelters, schools and even on Capitol Hill." Maloney is running against three women in the race to replace disgraced Democrat Eric Schneiderman. The former attorney general resigned as New York attorney general following numerous allegations of sexual assault and abuse. This entry was posted in Issues and tagged Democrats, Government Spending. Bookmark the permalink.